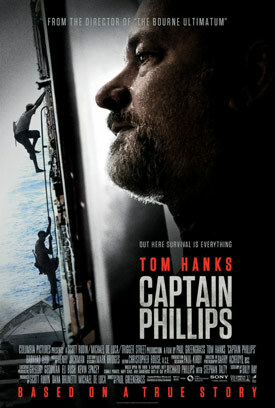 Captain Phillips Trailer Debuts. 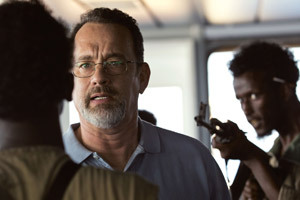 Tom Hanks, Catherine Keener, John Magaro and Max Martini star in the Somali pirates action-thriller Captain Phillips, directed by Paul Greengrass (The Bourne Ultimatum, United 93). Watch the movie trailer and photos below. 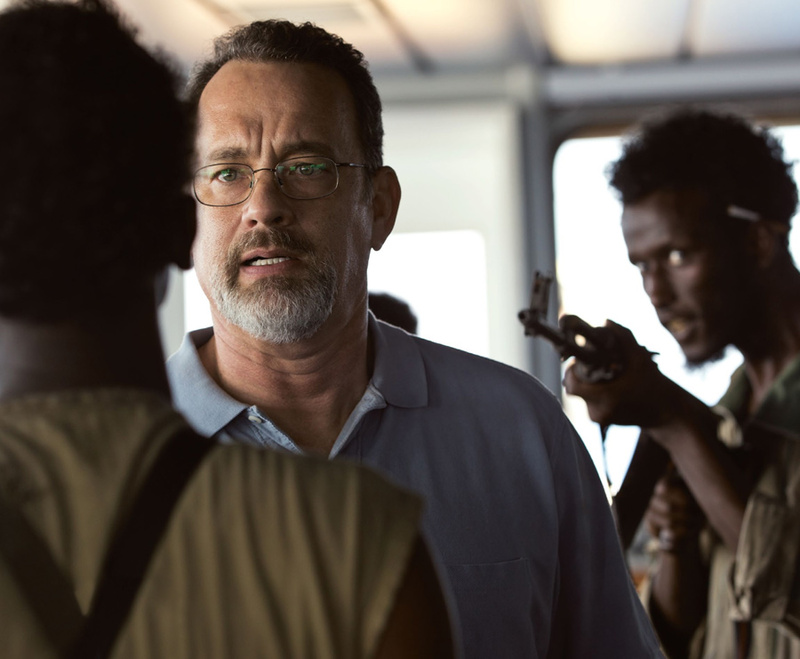 The film is a retelling of the headline grabbing events that occurred on the high seas in April 2009 when cargo ship captain Richard Phillips (Hanks), married father of two, surrendered himself to a group of four Somali pirates in order to protect his crew off the coast of Africa. Running Time: 2 hrs. 14 min. MPAA Rating: (PG-13) for sustained intense sequences of menace, some violence with bloody images, and for substance use. Columbia Pictures’ action-thriller Captain Phillips stars two-time Oscar winner Tom Hanks in the true story of Captain Richard Phillips and the 2009 hijacking by Somali pirates of the US-flagged MV Maersk Alabama, the first American cargo ship to be hijacked in two hundred years. The film is directed by Oscar nominee Paul Greengrass, from a screenplay by Billy Ray and based upon the book, A Captain’s Duty: Somali Pirates, Navy SEALs, and Dangerous Days at Sea, by Richard Phillips with Stephan Talty. The film is produced by Scott Rudin, Dana Brunetti, and Michael De Luca.